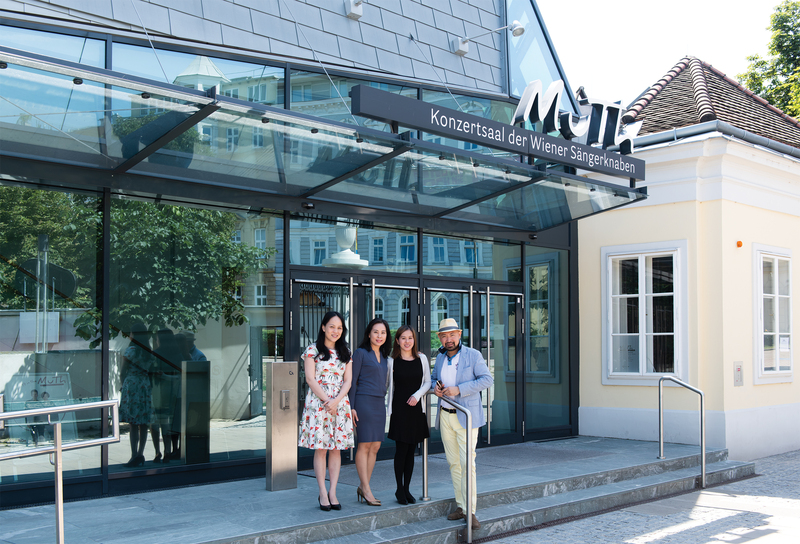 It was a beautiful sunny morning when our Vantage Music artists and Jimmy Chiang arrived right outside the Palais Augarten. The Vienna Boys’ Choir (the “Choir”) is privileged. 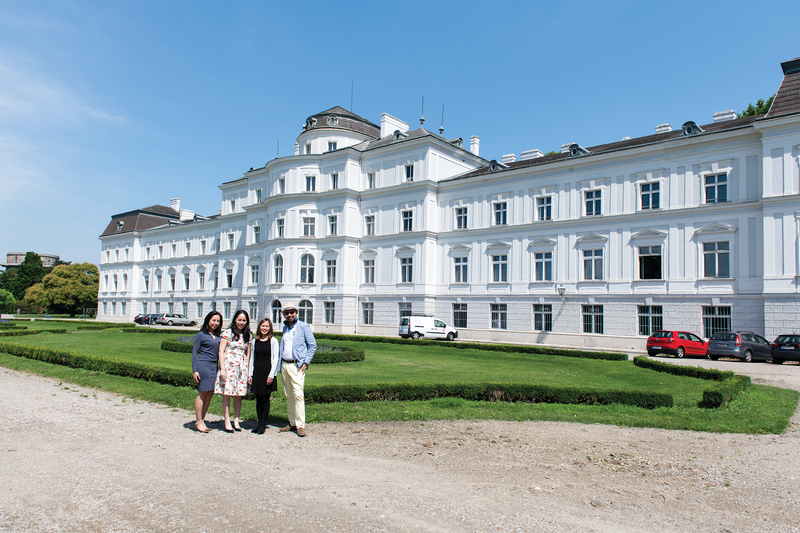 Its principal residence is located inside the breathtaking 52-hectare baroque Park Augarten, a now-state-owned former palace which was granted public access only in 1776 by Emperor Joseph II. A shady pathway by the baroque garden in front of the Palais Augarten led us to the Augartenspitz, at the south-eastern tip of the park. A distinctive architectural modernity emerged – MuTh, the Concert Hall of the Vienna Boys’ Choir1, a steel-and-glass structure in intriguing contrast with the baroque gatehouse and the Augarten walls. The theatre had its grand opening in December 2012. From its conceptual idea to the final form, the whole project took twelve years to complete. We settled comfortably inside the 400-seat concert hall, which is now the Choir’s main performance and rehearsal venue. The Choir had just started the summer holiday and we occupied the whole auditorium for an open discussion. Jimmy was born into a religious family. His father was a pastor for the Basel Mission of a German Lutheran church in Hong Kong (HK). Jimmy recounted, “He is also a music enthusiast. Recently, he rearranged Bach’s violin double concerto into a piano solo piece. It is quite amazing for someone at the age of seventy! My mum was a singer and she directed choirs in her early years.” Both of his parents were helping a local children’s choir in the 70s. From there, they met Dr Yip Wai-hong and became good family friends. At that time, Mrs Yip taught the piano and Jimmy became her student. “The Yip family was very supportive of my musical studies. I even had the opportunity to make music with the Pan Asia Symphony Orchestra (PASO), which Dr Yip founded.” The Yips also established a music centre. Jimmy played the piano with the string players there for rehearsals and concerts. 1 Konzertsaal der Wiener Sängerknaben. 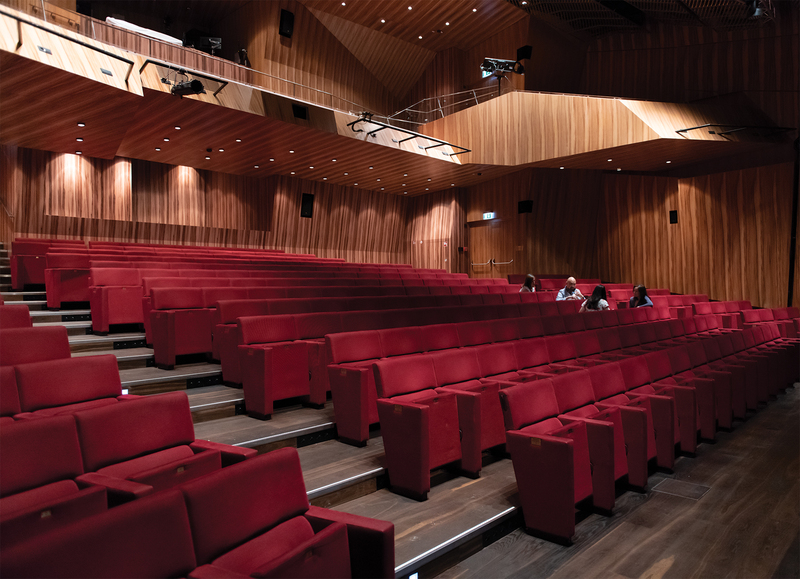 Interested readers may want to refer to the book Konzertsaal der Wiener Sängerknaben written by its architects for more details about its development and history of the building. The foundation built in music theory and composition proved to be crucial for Jimmy’s music endeavours. “As a conductor, you are expected to know the piece inside out, just like the composer. Knowledge in theory and composition is the prerequisite in this regard,” he remarked. He even orchestrated some of the pieces he composed and other piano repertoire as “exercises” to experiment with orchestral sounds. He recalled working on Chopin’s Nocturnes and orchestrating them for the piano and orchestra with the PASO. These were such wonderful experiences for the teenage Jimmy. He even tried out his compositions at the church: “There, I arranged music for a brass ensemble and wrote hymns for the Christmas shows,” he recollected. At Munsang College, where Jimmy attended during his school days, there were many choirs. Owing to his excellent sight-reading skills, he accompanied and helped to rehearse a high school mixed choir for the Oratorio category in school competitions. Later on, he also accompanied the instrumentalists during his tertiary music education in the US, ranging from violins to bassoons to even trombone players. At the same time, with his mounting urge to become a conductor, he came up with the idea of founding an orchestra – the Ensemble Amadeus – at the university. For several years, there were annual concerts where he directed as well as played as a soloist. He directed the orchestra playing pieces by Mozart and he played a Mozart piano concerto, where he directed from the keyboard. The year after graduation, he left the US for Vienna, Austria, to focus on conducting under Professor Leopold Hager at the University for Music and Dramatic Arts Vienna2. There are several influential conductor models for Jimmy. The first one was as early as in 1990. “My dad brought home a video of Leonard Bernstein conducting Beethoven’s Ninth Symphony to celebrate the fall of the Berlin Wall. I watched that and was stunned. I always wanted to be a conductor, but that exact scene was very captivating.” Then he began his research on Bernstein – reading his biography, listening to his recordings, watching interviews and documentaries. Being a pianist, composer, conductor and educator, Bernstein became a role model for how Jimmy should prepare himself and what he would become. 2 Universität für Musik und darstellende Kunst Wien was established in 1817. Its notable former conductor students included Gustav Mahler, Claudio Abbado and Zubin Mehta; strings players included Joseph Joachim and Fritz Kreisler. Professor Hager joined a direct line of renowned teachers from Hans Swarowsky, who taught Abbado, Mehta and Karl Österreicher, just to name a few. His second mentor was Seiji Ozawa, whom he was introduced to through Hager and his Japanese colleague, Yuji Yuasa, who studied with Ozawa previously. “I attended his rehearsals when he was the music director at the Vienna State Opera. Hager was later also the chief conductor of the Vienna National Opera – Volksoper. In 2003, he founded the Rohm Music Festival in Kyoto, Japan. I went for the audition in Tokyo and was awarded a fellowship to spend a week working closely with Ozawa at that new festival.” There were altogether seven contestants initially. Jimmy was among the top three finalists to compete for the fellowship. It turned out that the experience during that week was totally unexpected. “I was puzzled and confused at a crisis where I didn’t know what was I doing. I was almost lost during that week – I only learnt afterwards,” he said. The festival attracted a lot of attention in Japan. Cameras and a stage were ready in place for a press conference at the beginning of the week. Jimmy conducted a movement of Beethoven’s Fifth Symphony and thought it went well. Ozawa took him aside right after the performance and said, “We need to talk. You are a great pianist but conducting, I just do not know. I do not know how to help you: it is your arm, it is dead! You have to change your concept of conducting.” He had already gone through that with Hager two years ago and here, once again, he was driven into total despair and could not help wondering what was wrong. “On the surface, it appeared that Ozawa did not really teach me anything. He gave me this idea without any explanation. Towards the end of the festival, he told Yusas privately, ‘No worry. One day, he will get it.’” In fact, not only was this idea enshrined in him in that week but it also continues today. The impact turned out to be profound. “Most often, the audience don’t notice that because a good orchestra will deliver a good performance irrespectively,” Kitty added. “Members of the orchestra will know, especially those in Vienna knew this very well,” Jimmy continued. In 2007, the year after Jimmy obtained his master’s degree, he won the first prize at the International Competition of Young Conductors Lovro von Matačić in Croatia, which was a recognition in his own right to reaffirm his conducting skills. We were also interested in Jimmy’s ideal conductor. “Although it started off with Bernstein, I must say that changed over the years. I’m getting into minimalism, styles such as that of Kurt Masur and Lorin Maazel, who were intelligent and intellectual but also had the magic. Bernstein was legendary, but I do not really agree with the way he conducted as I grow,” he said. With respect to interpretation, he was inclined to the old masters such as Georg Solti and Wilhelm Furtwängler, “They seemed to be more open-minded than some conductors with the ‘new modern’ nowadays. We tend to keep things more restricted to ‘follow the score’ these days when playing Mozart or Beethoven.” Instead, he preferred a balance between them – a certain style should be maintained but there should also be some liberty with the interpretation. How to Be an Effective Conductor? He taught the Vienna Boys the same idea in case they worked with someone new. The singers may be “led” here and there. If in doubt, they all are well-prepared and confident enough to be guided by the concertmaster and the music. Above all, the audience will hear a coherent sound and that is most important. The importance of preparation and thoroughly studying the music should never be overlooked: “If I’m preparing a recital as a pianist, I can’t just read the music. I have to practise and memorise the music, hopefully not to even make a mistake. Likewise, the conductor is expected to be fully prepared.” He lamented that nowadays many only prepare something, superficially, only the score, but lack the background and depth of the piece of art itself and then instruct people to do things. This is unfair to the ensemble. His attitude is to study as much as possible such that he can contribute to the group but not become a burden. People should feel like they want the conductor there to assist. “The orchestra will want to ask questions beyond what is already known or has been done,” Kitty added. “And the conductor doesn’t need to tell them obvious things! My teacher often said, ‘Why does one have to point out that there is a forte? It’s written!’ Perhaps you haven’t worked hard enough to energise them to focus! You do it only when you have to convey a specific sound that you want,” Jimmy pointed out. Moreover, even in international conducting competitions, he also witnessed that contestants spoke about obvious things that tended to interrupt a harmonious collaboration rather than to yield something meaningful. There are exceptions – he heard friends from top-tier orchestras telling stories about making comments to celebrated conductors like “I don’t think you should conduct like this.” Nowadays, people tend to be reserved. The conductor might think it was a job well done without even noticing that the orchestra has a completely different opinion. Music As a Career, Anyone? These days, Jimmy never runs short of meeting music students from different countries around the world. He advises students to think twice if they contemplate a career in music. Opportunities are becoming scarce and simply not available for everyone. To him, unfortunately, many regard conducting as a last resort when they do not seem to have a career of other things or are not capable of playing other instruments to make a living. For students from HK thinking of doing music for the sake of music, Jimmy also tries to manage expectations: “They have to realise that the international standard is much more demanding: musicians will be challenged on details such as the history and tradition of the music and the ability in articulation.” He appreciated that HK has a variety of concerts and operas with great international artists to offer. At the same time, the general musicianship of students is still far from the breadth and depth he has seen in Europe. We noticed that parents in HK, generally speaking, prefer their children to excel in academic performance and to achieve a lot in music. It is understandable for such a desire in a densely populated city. But Jimmy saw the need to encourage them to go to concerts and to prepare them to be more open-minded and to put an emphasis on development beyond just the school or examination system to be somebody ready for the competitive and ever-changing world. Jimmy once worked as a Kapellmeister3 at Theatre Freiburg in Germany. Interestingly, Freiburg, only half an hour from Basel, was the same city from where the missionaries of the German Lutheran Church came to HK. “They befriended my father and used to talk to him in Chinese. Now I speak to them in German!” he said. In Germany, the majority of the orchestras are supported by the government and they reside in their corresponding opera houses, serving as the opera orchestra of the theatre. There, the opera seasons dominate, and the symphonic concerts come in between. It differs from HK in that the symphonic concerts take priority and the orchestras play operas occasionally if needed. “This is the main difference which I wish HK could manage. That is, to have an established opera house and the orchestra plays operas as their core service and concerts on the side,” Jimmy expressed. 3 Conductor-in-residence. The role of Kapellmeister dated back to the time of Mozart and Bach, or even earlier. It has been a title given to musicians who lead and organise an ensemble, whether in churches or in theatres or palaces. They write the music, play them and conduct the ensemble and singers if needed. Just like any promising conductors, Jimmy conducted in the opera house and had regularly conducted the orchestra for concerts including symphonies, operas and other chamber music with instrumentalists and singers. Being a Kapellmeister , he led performances, assisting the singers to learn their parts and on things affiliated with the theatre. Austrian conductor Herbert von Karajan also began his career in this way. Traditionally, by rehearsing with the singers as a répétiteur, the Kapellmeister ended up learning the whole opera from piano and then organising rehearsals with the orchestras to come up with a new production. Nowadays these responsibilities are divided between different individuals. For example, the répétiteurs may only work with the singers but they do not know how to conduct or work with the orchestra. Conductors could be asked just to come in, without integrating different parts but learning the score by themselves. However, Jimmy was not under pressure to create productions for commercial purposes. In the German-speaking world, and most European orchestras and theatres, what and how to produce and whom to hire were decisions made collectively by a committee including the orchestra, artistic director, concertmaster and even the stage director. There is a big difference compared to the system in HK. Conductors are supposed to be assertive to achieve their way. But in Germany, it is difficult for conductors, especially those who are young and inexperienced, to direct the orchestra to do it their way, even if it is their production. 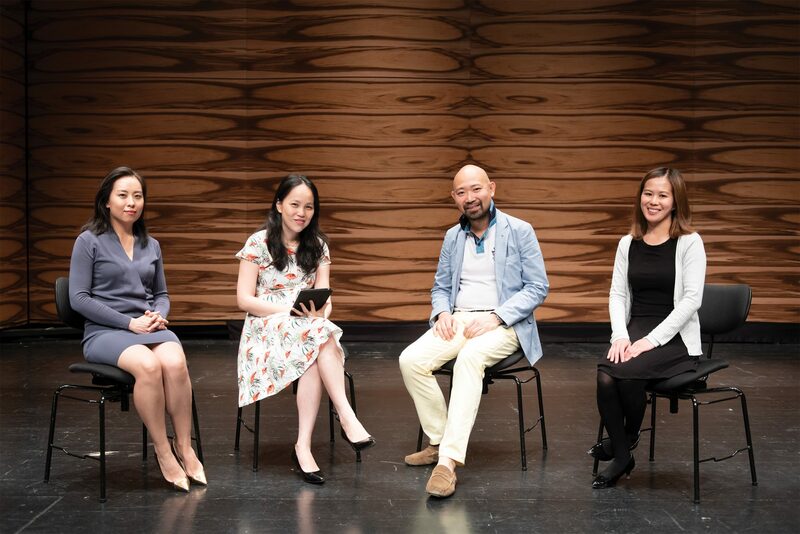 “For the aspiring young generation of conductors in HK, I would like to emphasise that conducting is not just about standing up on stage and tell people what to play or correct their mistakes. Here, in Europe – it’s a job and it’s important to carry out it well,” he added. The years in Germany were tough for the Chiang family. “Anna’s family is in the US and mine in HK. We basically started from scratch in Europe; it was like a new root for us,” Jimmy said. Undeniably, it offered him and his wife, Anna Baxter, soprano, the opportunity to be exposed to the operatic world in Germany. Jimmy once worked at Freiburg and Anna at Lübeck, while their young children lived in Vienna, the city where they were born. The family was so far apart that they only had very limited time to even see each other. “For a year, my parents came to take care of the children. But, even with that, I was worried as the kids started showing signs of behavioural issues.” After staying around two years in Germany, Jimmy and Anna returned to Vienna without any immediate plans ahead. In 2013, Jimmy was appointed the role of Kapellmeister at the Choir and became the first Chinese conductor in its five centuries of history. The role fitted Jimmy’s profile perfectly. It has been a long tradition that it has to be a pianist conductor who can both conduct and perform with the Choir at the same time. It also caters well for the family’s needs. His children are now members of the Choir and they have the opportunity to travel with their father and to enjoy touring around the world. The fact that a parent is always there makes the children feel secure and comfortable. In 2016, Jimmy made his Carnegie Hall debut at the Stern Auditorium together with his older son – something rather rare to happen for a music family! As the boys in the Choir are aged between ten and fourteen, we wondered what will happen to them after these years? In fact, it is only in the last decade that the Choir has established its high school and now it has become a full-blown music high school, which offers normal academic teaching but focuses on music and specifically on singing. Before that, once the students’ voices changed, they had to leave. “Those days, they would have to return to a normal school. Obviously, it would be hard for them. That was because they have spent quite some time singing instead of studying academic subjects. Catching up became very challenging.” There was also an impact from a psychological standpoint – the choir members were used to being treated like stars and prodigies but, all of a sudden, they had to revert to live an ordinary life. Nowadays, these boys do not necessarily have to leave their schoolmates. For them, study with the people whom they are familiar with is an important emotional support. The high school has female intakes and there are mixed choirs such that they could continue to sing for local performances.